Noise Level Maximum of 32db at 100% system loading. Efficiency 70% Min. at full load. CONNECTORS: 2 Peripheral, 1 Floppy, 2 SATA connectors, and 1 ATX12V P4 (Square 4 pin connector),1 x 20/24 pin main board connector (work on both 20 pin and 24 pin motherboard). Connector included: ATX Connector 20/24 (20 4) Pin X 1 PC, P4-12V 4 Pin X 1 PC, SATA 15 Pin X 2PC, IDE/Molex 4 Pin X 3 PC, Floppy 4 Pin X 1 PC. Compatible models shown above are for reference purpose only. Airflow drawn out of case into surroundings by 80mm internal fan. Noise Level Maximum of 37db at 100% System Loading. Output: 3.3V 16A, 5V 18A, 12V 22A, -12V 0.5A, 5VSB 2A. Efficiency 70% Min. at Full Load. We'd like to settle any problem in a friendly manner. We want to make sure you are happy with our item. TECHNICIAN TESTED AND INSPECTED. CE QUI EST INDIQUÉ EST CE QUE VOUS RECEVREZ. LO QUE SE MUESTRA ES LO QUE RECIBIRÁ. Maximum Power Output: 600W. 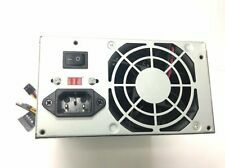 atx600n12s for hp 5188-2822. 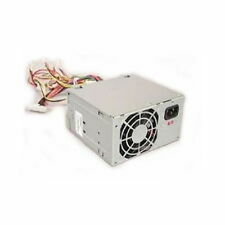 HP P/N: 5188-2622 5187-1098 5188-2822 5187-6114 (HP-D3057F3R) Bestec ATX-250-12Z. New 24-pin main ATX connector with detachable sub-module to support legacy 20-pin board. Used - Tested & Working. ITEM HAS BEEN TESTED AND IS WORKING GREAT. Unless noted or pictured, power cords or adapters are not included. No other accessories are included in this sale. Compatible models shown above are for reference purpose only. not all compatible models are listed. MTBF: 100,000 Hours on Maximum Load at 25°C. Product must be presented to us within the warranty period. HP Pavilion A6130N GC671AA#ABA. HIPRO HP-D2537F3R HP-D3057F3R. Maximum Power Output: 600W. Since the fan is situation inside the system, and not at the back of the PC system, audiable fan noise is greatly reduced. PEAK SURGE MAX OUTPUT 300W. Noise Level Maximum of 32db at 100% system loading. Efficiency 70% Min. at full load. CONNECTORS: 2 Peripheral, 1 Floppy, 2 SATA connectors, and 1 ATX12V P4 (Square 4 pin connector),1 x 20/24 pin main board connector (work on both 20 pin and 24 pin motherboard). 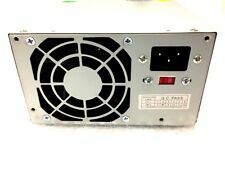 400W HP 5187-6114 Power Supply D3057F3R | FAST FREE S&H. HP P/N: HP 5188-2625, HP 5188-2859, HP 5187-6114, HP 5188-0131, HP 5187-6116, HP 5188-0129, HP 5187-6712, HP 5188-0130. Compatible with following HP models HP Pavilion d4500e CTO PC EW178AV. HP Pavilion Elite e9290f. PEAK SURGE MAX OUTPUT 650W. Noise Level Maximum of 32db at 100% system loading. Efficiency 70% Min. at full load. Thermal Overload Cut-off Protection. WE TRY TO DESCRIBE THE PRODUCT TO OUR BEST KNOWLEDGE. UNIT TESTED AND PULLED FROM WORKING UNIT. GREAT CONDITION. Compatible models shown above are for reference purpose only. not all compatible models are listed. MTBF: 100,000 Hours on Maximum Load at 25°C. Input / Output Output: 3.3V 45A, 5V 44A, 12V 22A, -12V 0.8A, 5VSB 2A. Working 100% and in Excellent Condition. 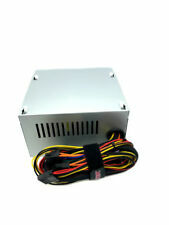 500W Upgrade Power Supply for HP 5188-2625 / HP D3057F3R - FREE S&H. Bestec ATX-300-12Z and. Hipro HP-D3057F3R. 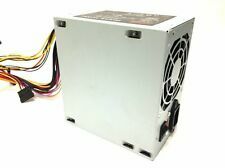 Compatible with HP Pavilion 5188-2625, 5187-6114. Since the fan is situation inside the system, and not at the back of the PC system, audible fan noise is greatly reduced. Hipro HP-D3057F3R. Energy Star Efficiency (proven efficiency and safty). Complies with FCC part 15J class B 115Vac Operation and CISPR22 230Vac Operation. 100% Hi-pot & Function (Chroma)tested. Over Power protection. Connector included: ATX Connector 24 (20 4) Pin X 1 PC, P4-12V 4 Pin X 1 PC, SATA 15 Pin X 3PC, IDE/Molex 4 Pin X 3 PC, Floppy 4 Pin X 1 PC. Compatible models shown above are for reference purpose only. Ended up buying a news PC and no longer need it. Connector included: ATX Connector 24 (20 4) Pin X 1 PC, P4-12V 4 Pin X 1 PC, SATA 15 Pin X 2PC, IDE/Molex 4 Pin X 4 PC, Floppy 4 Pin X 1 PC. 80mm fan for maxium airflow and 450 watt output to support those power-hungry components! Tested and working, pulled from working system. 120mm fan for maximum airflow and 725 watt output to support those power-hungry components! Quiet Performance. High energy efficiency. Under Load Protection (ULT). Compatible models shown above are for reference purpose only. Pavilion Model: a1520n a1430n a1440n a1445n a1450n a1419h a1420n. HIPRO HP-D3057F3R HP Pavilion PN:A6130N GC671AA#ABA. You no longer suffer noticeable power loss even after PC system is powered off. But there will be rare occasions when my best efforts are not enough and the item you have received has problems. I am easy to work with. I will do my best to answer promptly. it upgraded my power supply. I work great. Main Connectors: 20 4 PIN, SATA, MOLEX 4 PIN, FLOPPY 4 PIN, ATX 12V SQUARE 4 PIN. Compatible models shown above are for reference purpose only. not all compatible models are listed. Input / Output. Form Factor: ATX. 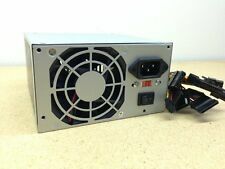 Output Power: 400 W. Connectors: 4 Pin 12 V,20 Pin,24 Pin,4 Pin Peripheral,Floppy Drive,SATA I. condition: New. AC Power Cord is NOT included, however it is compatible with your original HP power cord. (1) Floppy Drive Power Connector. Efficiency: Typical 65% @ full load. Maximum Power Output: 305W. (1) 2x2 12V Power Connector.